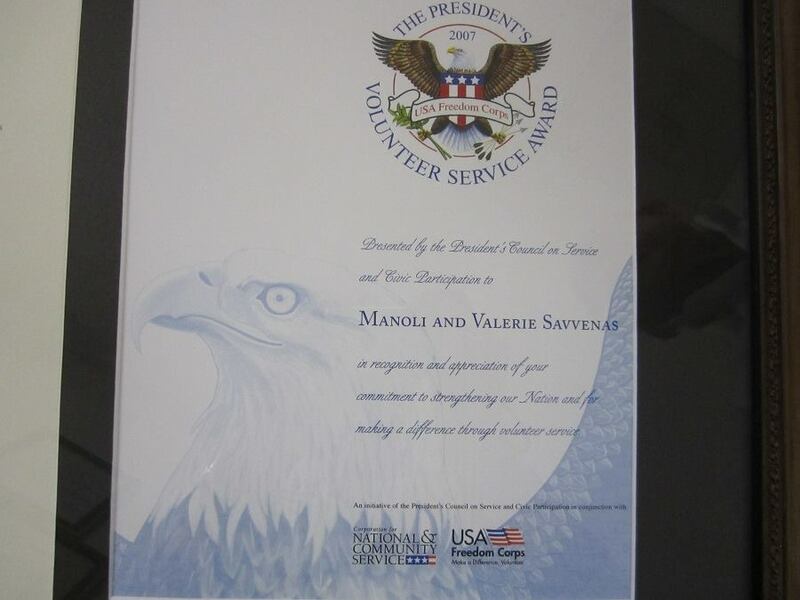 We are the recipient of the 2007 president’s award for volunteer service. 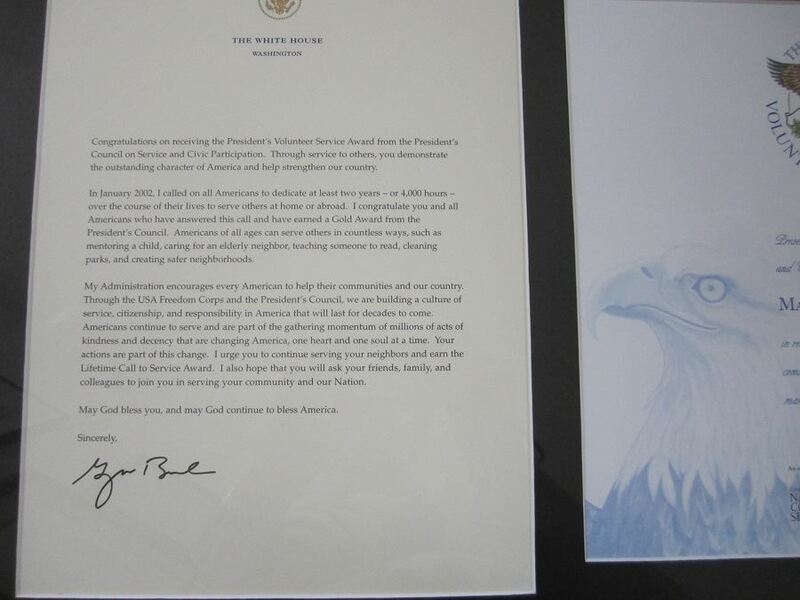 We received this because of the efforts that we put forth to help our son, Dino, who was serving in Iraq, in the Marines Weapons Co 3/24. One day he called us at the store and told his mother, Valerie, that they needed fire retardant underwear, so we started raising money for that. He then told us that they needed raincoats and we got those and then he told us that they needed spot lights for their humvees and we sent those to his unit. 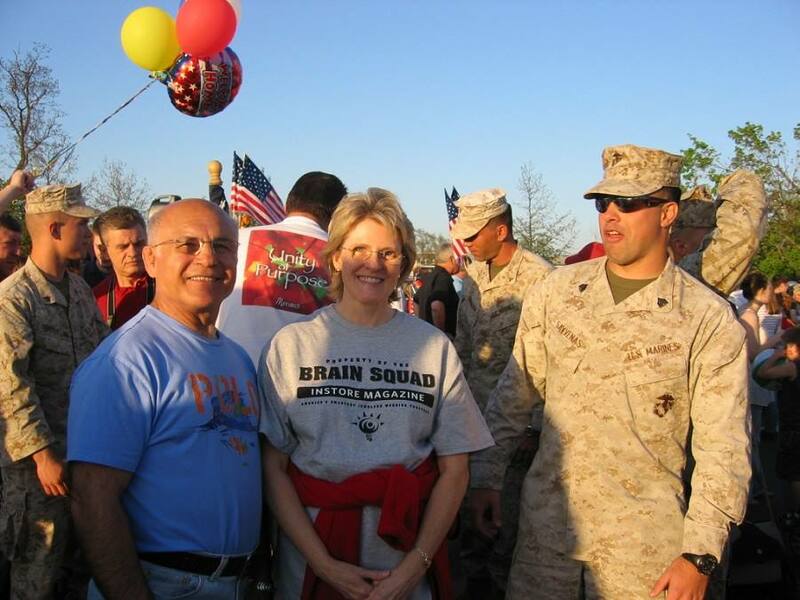 We did this with the help of Debbie Fisher whose son, Travis, was in Iraq with our son, Dino. And, of course,with all of the people who donated money to help us with this. My son Dino is a Marine and he just returned from his 7 months in Iraq and he came home in one piece. 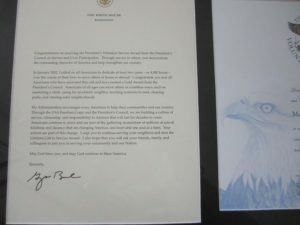 Due to the fact that he was hunting for ied’s and he was in the lead humvee and two of his guys were badly burned over 70 % of their bodies-he asked me to send him some Nomex underwear so I and a friend started e-mailing friends and family and raised about $17,000 and sent about 200 pairs of flame retardant underwear-we actually found a new type that was softer and supposed to be better than Nomex. Then he asked for 32 raincoats which we sent-we were able to find dark green finally. Then he asked for spot lights that they could put on heir humvees so they could see better at night and we sent a lot of those-I don’t remember how many plus extra bulbs. I feel very good knowing that we might have made someone feel more secure. 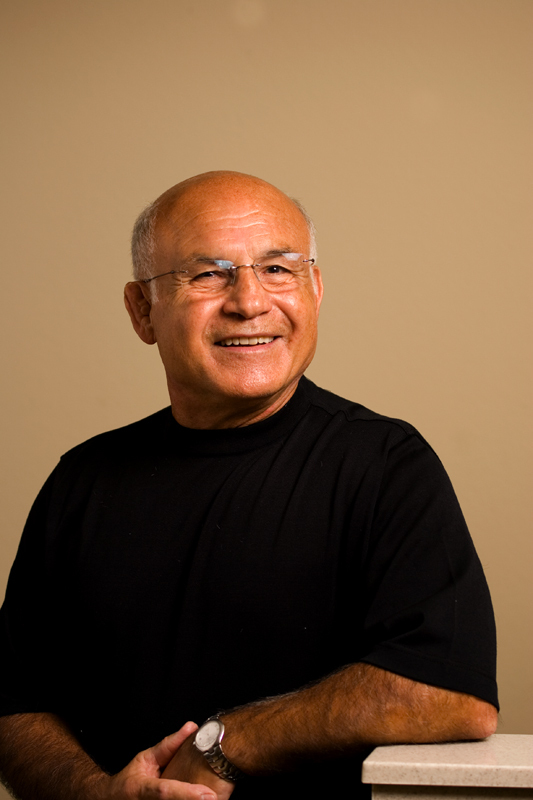 Humans of the Ozarks and Manoli Savvenas. An article about Manoli that was printed in the Springfield News Leader on January 8, 2017. We hope you enjoy it. Manoli Savvenas can still remember smelling the Aegean Sea air as he tried to out-maneuver his friends kicking a soccer ball made from old rags. “We didn’t have toys. But it was a very happy childhood. We’d get hungry from playing, so we’d go home and eat a slice of bread. We’d wet it with water and put a little sugar on it,” he says. Growing up on the Greek island of Rhodes, Savvenas was aware of the ancient Roman and Byzantine artists, writers and philosophers who had called the island home. 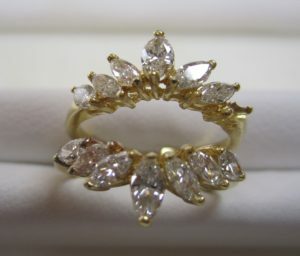 Before-old diamond guard ring that is worn and outdated. 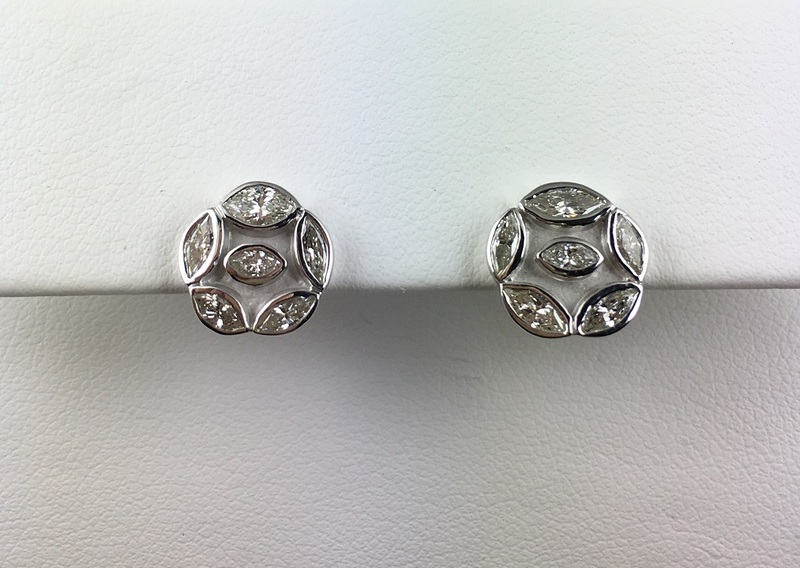 Before you have an old worn-out yellow gold guard ring and after you have a very wearable pair of white gold earrings with diamonds that have a lot of sentimental value. These are things that we do at Manoli’s Jewelers. 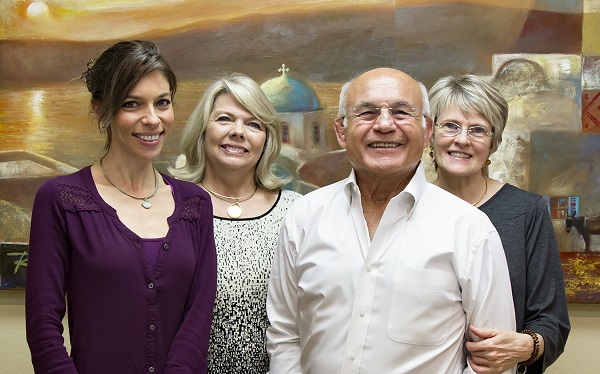 Some of the faces at Manoli’s Jewelers. Our precious daughter-in-law, Amy. Our longtime friend and salesperson, Karen Mitchell. Manoli the inspiration of Manoli’s Jewelers and Valerie who is Manoli’s wife, business and life partner and graduate gemologist. A truly unique diamond ring that is handmade by Margoni from Greece. If you like to wear unique jewelry then our jewelry from these designers and Manoli’s Jewelers is for you. 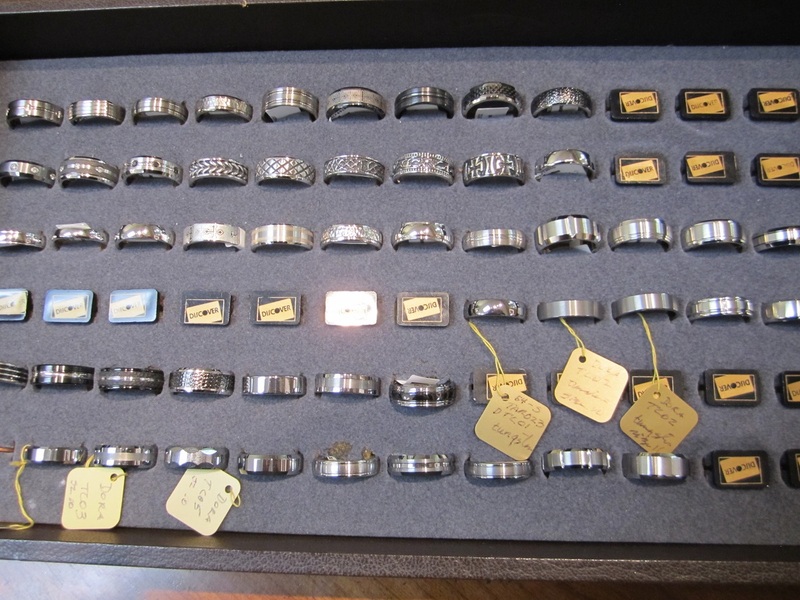 All of our Benchmark wedding bands are half price……as long as you can wear a size 10…..then you are in luck. Don’t wait, come check them out soon. We are discontinuing our collection of Benchmark bands and that is the reason for this huge markdown in prices. 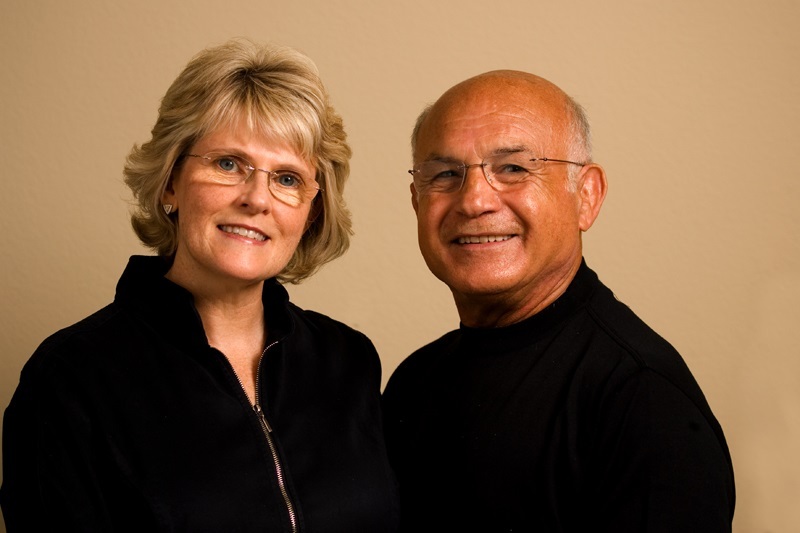 Manoli and Valerie can help you with expert Jewelry repairs. Expert jewelry repairs at Manoli’s Jewelers in Springfield, MO. Master goldsmith and graduate gemologist team since 1979. Listen to our story! Just scroll down and click the arrow below. 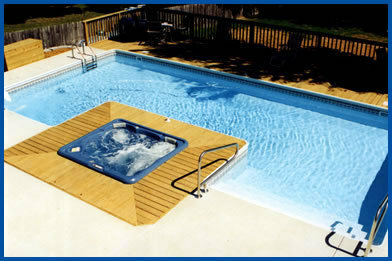 Pool and Hot Tub alert! Chlorine is bad for your gold and silver jewelry! Chlorine and chlorine-like-chemicals such as bromine attack the alloys used in karat gold, leaving the metal brittle and thus susceptible to breaking in areas that have been stressed, such as the bend in a prong or stretched segment of a shank. Chlorine has an oxidizing effect on silver causing it to turn black. So remove your jewelry and put it in a safe place to prevent these problems. Then have a great pool party! Watch this short video to see how contoura wedding bands are designed to conform to the shape of your engagement ring. 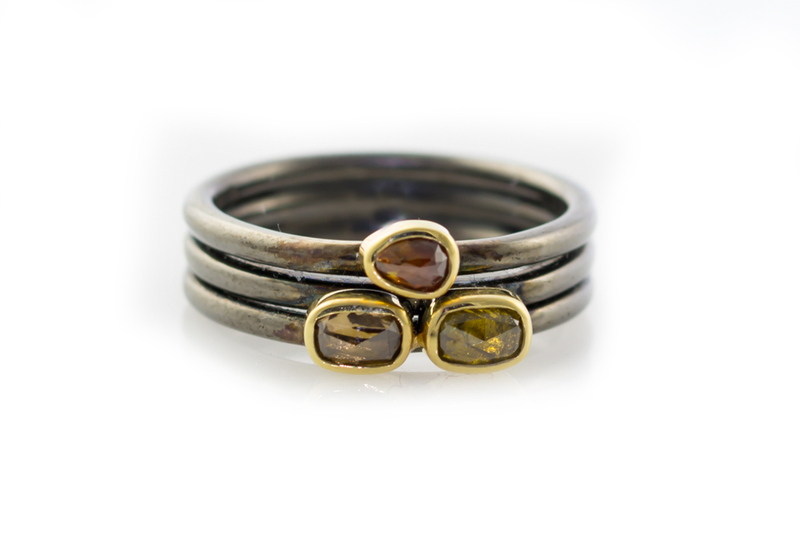 Then go to this link to see the contoura wedding bands that we have in stock. Manoli’s Jewelers is open every day until Christmas. Why you might choose Manoli’s Jewelers. Some people desire to own unique jewelry that can’t be found in the average jewelry store. Or maybe you have existing jewelry that you would like to have restyled. The pros at Manoli’s Jewelers will be happy to help you.